Last week on the Biblical Editorial Review, over 2 million listeners have tuned in with this broadcast. 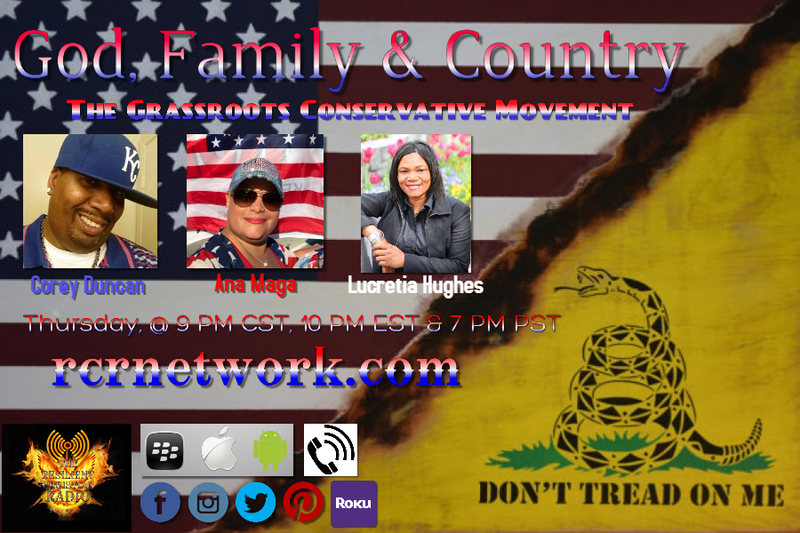 We interviewed Ana Maga, Corey "Mad Black Conservative" Duncan & Lucretia Hughes from the Grassroots Conservative Movement”. Our listening audience was mainly Millennials that want to know the truth about Conservatism and Christianity that we are bringing it back again for this week for them to learn and to challenge them their mindsets about God, Family & Country!!! Only the real Children of God will bring out this truth and tonight, that is exactly what we are going to do, again!!! The fact is, the "grassroots" is not like anything else in politics. By its very nature, it's fiercely resistant to central control — yet it can be incomparably loyal and self-sacrificing. Properly understood and respected (and hence properly utilized), it has the potential to alter an entire culture. Approached incorrectly, it will turn on those who seek to exploit it. Please join us on this Thursday for The Biblical Editorial Review @ 9 PM CST, 10 PM EST and 7 PM PST.